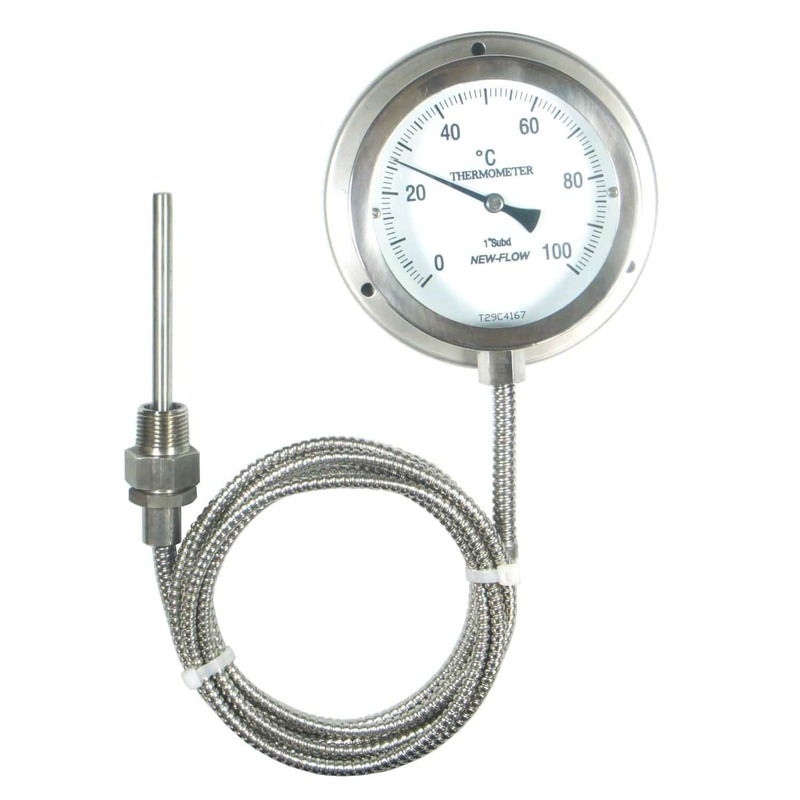 The SM Model and SA Model are gas filled dial thermometer. They are built with a protection rating of IP 65. These units are supplied with 130% F.S. over range protection, +/-1% F.S. accuracy, liquid filled housing enclosure, and a glass lens. Their working temperatures are -200 ºC to +650 ºC. They also has a 1/2"NPT standard process connections, SS304 or SS316 sensor bulb capillary tubes, and SS316 cases and covers.